It's time for this month's Pep Rally with Clique Kits! 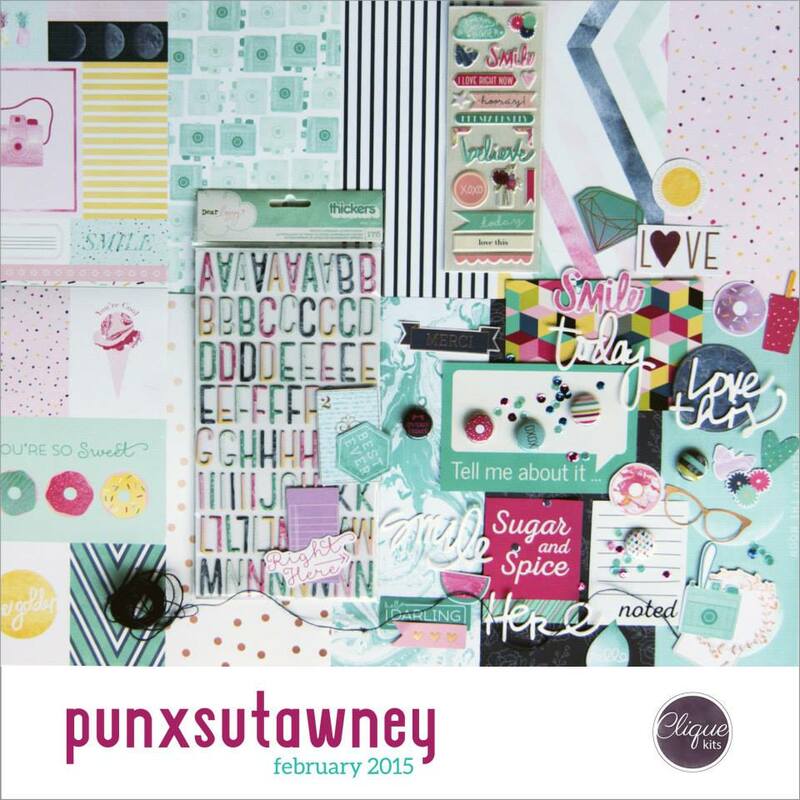 I know I say this every time, but I had such a blast with the February Punxsutawney kit! I loved all the Dear Lizzy Serendipity and the fun colors and patterns! I used up almost every single piece of the kit! This month's pep rally theme is in honor of Valentine's Day! We're focusing on love, Galentines, and/or sweet treats. Today's layout is about my sweet cousin, who I adore. She's also a gal, so I think that covers all the categories! Isn't she adorable? I used the blues of the kit to complement the blues in our photo. If you're interested in purchasing the February kit or a subscription, use the code ALLIE10 for 10% off your purchase of anything in the shop! Next on the list is the talented Kat! There is a ton of inspiration on this blog hop, so don't forget to check out the other stops! 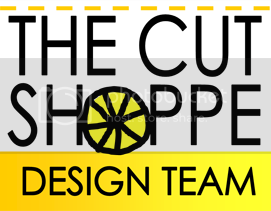 The Clique Kits blog has the full list. Have a fabulous day, and happy hopping! Great layout Allie! I always love your work! Love how the blues really stand out! Lovely layout!! I love how you highlighted the blues in the kit!! Beautiful work! Great layout! I love how you added the triangles on the side. Great job! Love how the papers complimented the lovely ladies dresses. Love this design & color palette. Love it. Have to scraplift that layout! Love the triangles that all point to your focal point. LOVE the colors in this kit! Your layouts are always so awesome! This one is no exception! LOVE it! 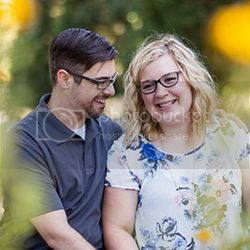 The blues are perfect for your photo! Beautiful layout. Love the blues! Way to cover all the catergories of the challenge. I love all the blues, beautiful layout! Great layout! Love the colors!! I adore the colors in this layout! Did you take that photo after getting the kit? It's perfect for the papers. Love the layout! Beautiful layout Allie! Love the way the big triangles draw your eye to the photo! Allie, your layout is super-cute!! Love all the colors, too!! Love this Allie! The colors really pop and how you used those triangles are really CLEVER! 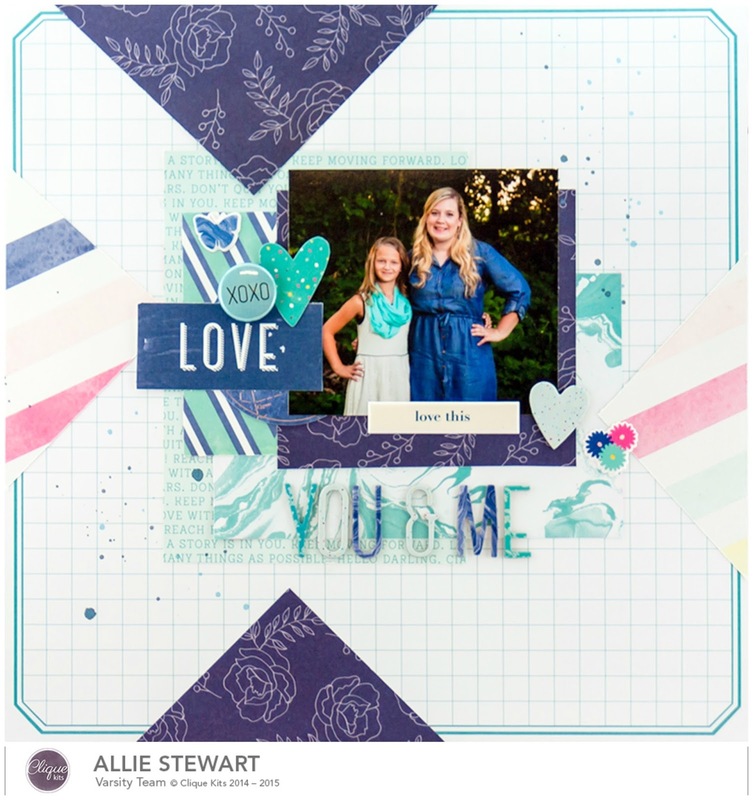 such a sweet page, allie! Super cute layout - love the paper and the embellishments. I love this design Allie! Beautiful work with this kit!